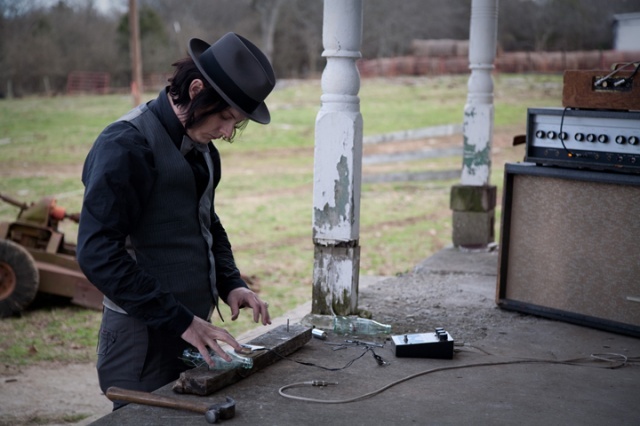 I always look for a phrase to head when posting films, this time was fighting in my head the which you see up there and “Who said you needed to buy a guitar?”, the first line mentioned in the film by Jack White, the end of this priceless sequence in which constructs a Diddley Bow with a wood piece , a couple of nails, wire, a bottle of Coca Cola and a slide ., plugging this invention to an amplifier and producing the first masterly and charming rifff of this Rocumental called It Might Get Loud, an early scene depicting the simplicity and minimalism at its highest point. do us enjoy some music from artists who influenced them. 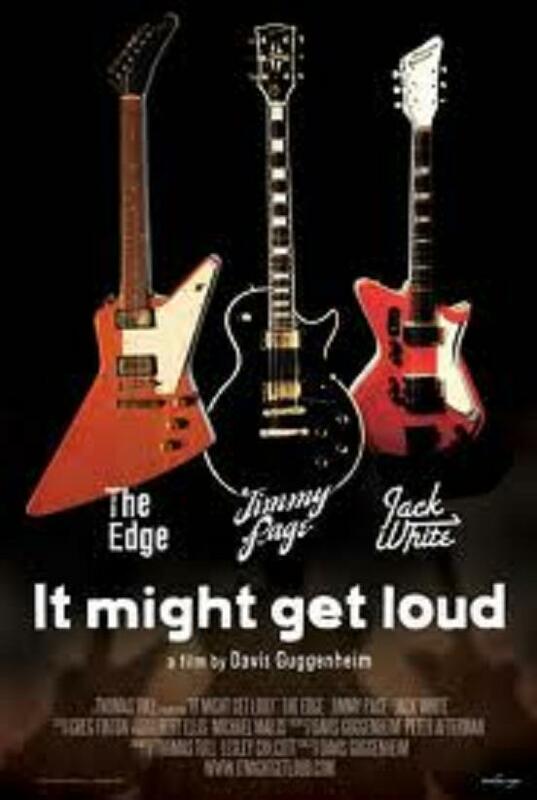 This is not just a movie about the electric guitar is an essential document for anyone who lives the music from the inside, playing any instrument, or outside enjoying the listen and feel, which is my case. 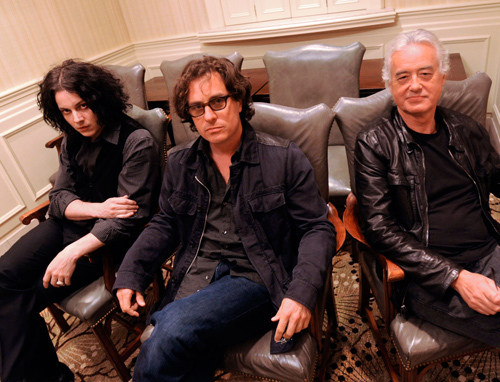 If Jack White and The Edge have merit enough to sit down and talk with Jimmy Page? will see that if, to spare. Okay, maybe I wish that all three interacted more, but that does not mean that I not look like me a fantastic movie. I think some names are will perpetuated in the history of Rock, in other cases maybe only remind them for their music quality, like when you hear a theme that this great but , do you remember who was playing.? In this case I strongly believe that these three names are for the first option. 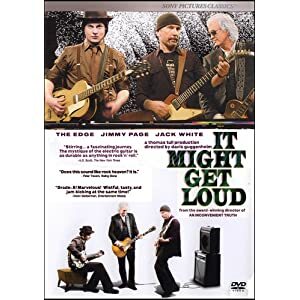 And if so, what good is that when you finish watching this DVD and you turn off all, if you don´t remember nothing of what they said does not matter, because surely their music will stay on you. 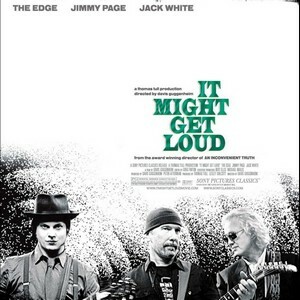 84,418 people like the It Might Get Loud movie page on Facebook. Want it delivered Tuesday, March 27? Order it in the next 34 hours and 13 minutes, and choose One-Day Shipping at checkout.